Recently we had the pleasure of speaking with Pauline Montgomery from Duncan Enterprises, to talk messaging, social, and measuring marketing performance for two of their exciting brands, Tattoo Junkee and Tulip / Tie Dye Your Summer! Explorics: Pauline, could you explain your role within Duncan Enterprises? 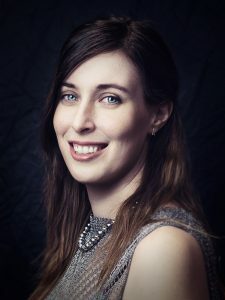 Pauline Montgomery: As the Digital Marketing Content Specialist at Duncan, my role focuses on sharing digital content with our distributors and retailers to support their in-store and e-commerce sales, creating advertising campaigns to launch or support our different product lines and coordinating SEO strategies. I also report weekly on all digital marketing efforts driving to our E-commerce sites, and review website performance metrics and competitors’ digital marketing efforts. Explorics: What would you say challenges you the most in the work that you do for Duncan Enterprises? PM: Getting access to KPI data across many different platforms and trying to identify a successful campaign looking at all these different metrics. Explorics: Could you describe in your own words the messaging that drives the Tattoo Junkee and Tulip / Tie Dye Your Summer brands? PM: Tattoo Junkee is one of our cosmetics brands. Tattoo Junkee is designed for the edgy girl with a rebel spirit and a fearless outlook on life. Our Tattoo Junkee audience refuses to play it safe. We consider them masters at mixing up their looks on a budget. 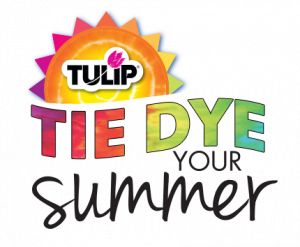 Tie Dye Your Summer is the website dedicated to our Tulip One-Step Tie-Dye kits. The brand Tulip was created to “live in color.” The Tulip DIY’er is adventurous and loves expressing her individuality through colorful DIY fashion, art and maker projects. She creates for the events in her life and for personalized gifts. Tulip products are made of permanent, vibrant rainbow colors that can be used on fabric and other surfaces. Explorics: How would you describe your brands’ social presence? How has this presence evolved with time and with changing social preferences? PM: We use the same primary social channels across our cosmetics and craft brands: Facebook, Instagram, Pinterest and YouTube. Facebook and Instagram are our primary traffic drivers in Cosmetics, and that’s where we found the most success in advertising campaigns. Pinterest is our #1 traffic driver in social for Craft brands, therefore we optimized all our website pages for pin shares. We had to learn to tailor content for each of these platforms. Explorics: Do you face any common challenges in marketing these two brands? How do you decide which outlets/which social channels to use when marketing Duncan Enterprises’ various brands? PM: Some common challenges are definitely balancing our budget and resources, and learning to adapt to each consumer and her way of shopping online: impulsive shoppers versus planners. We always go through a lot of testing with visuals and messaging during our campaigns. We typically post campaign assets on all our social channels and send an email to our subscribers on the same day after updating our website homepage. Explorics: What challenges were you looking to solve by becoming an Explorics customer? Reducing the time spent in building reports and presentations. Being able to identify our best or worst campaigns faster in terms of ROI or engagement. Explorics: How long have you been using Explorics for? What are the benefits of a product like this from your company’s perspective? PM: I have been using Explorics for 2 years now. It’s a one-stop source capturing all your digital marketing efforts: Traffic & E-commerce, Social, Paid campaigns & Email campaigns in one dashboard view. It’s also easy-to-read for our executives with the green and red color codes to recognize our winning campaigns. Explorics: What changes have you made to your marketing strategy based on the data provided by Explorics? PM: We were able to understand what paid campaigns were most successful and measure the direct effects of different promos in our e-commerce sales. In addition, we were able to monitor and compare influencer campaigns looking at YouTube, Instagram or Facebook engagement and sales results next to each other. We needed a tool that would offer an instant view of all digital marketing results as we started to grow our cosmetics brand. Explorics: How do you think other businesses or brands can benefit from Explorics like you have? PM: Explorics is a great time-saving tool for any business trying to grow their online community and measure their growth on a regular basis. By logging into this platform versus all the website, newsletter, analytics and social platforms, you get instant access to all your marketing results in one place, and the dashboards even calculate for you the ROI, engagement rate and other KPIs for any selected date range. Explorics: Any exciting developments related to your brand that you’d like people to know about? PM: We really work hard to take key learnings and apply them to all of our businesses, nuanced to our various target audiences. The consumer journey is always changing, and we’re expanding our product offerings based on what they love and what we learn from them. The direct consumer social interaction is so powerful! Thanks Pauline!! 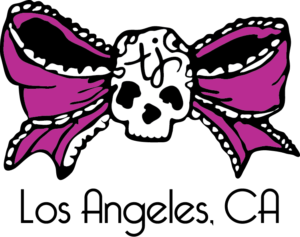 For more information about Tattoo Junkee or Tulip / Tie Dye Your Summer and the cool things they’re doing in cosmetics and DIY fashion, go check them out! If you’re interested in learning more about Explorics and how we can help your business, give us a shout!